Walking along Love Lane, I soon reached the junction of Farquhar Street. On my right I saw a church. It's called the Church of the Assumption. Crossing over to Light Street, I saw the Convent Light Street on my left. 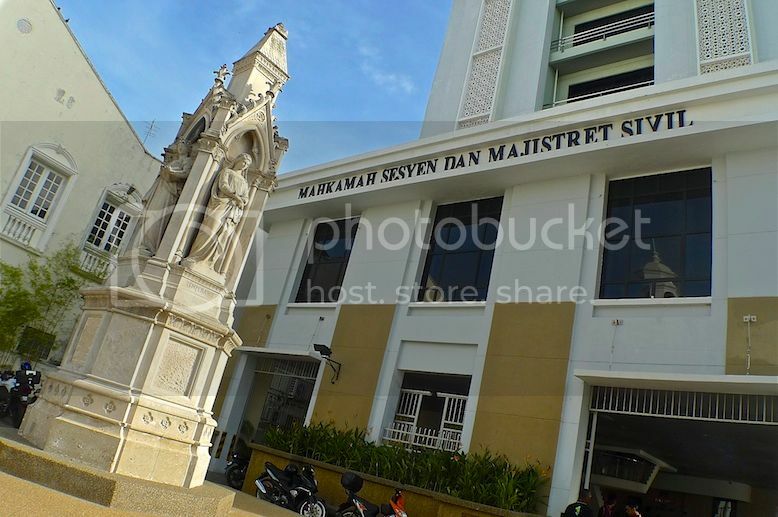 It is reportedly the oldest girls' school in Penang and in Malaysia. This is the Court Buildings along Light Street. 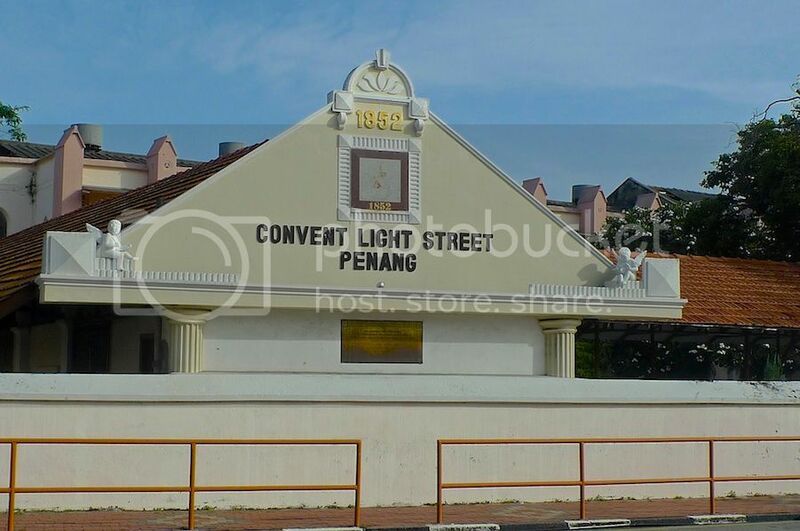 By the way, Light Street was named after Captain Francis Light, the founder of George Town. Further along Light Street, I reached the Logan Memorial, a monument erected in the memory of James Richardson Logan. James Logan was a lawyer who championed the rights of the non-Europeans in Penang. This is the Supreme Court building on the opposite side of the road. 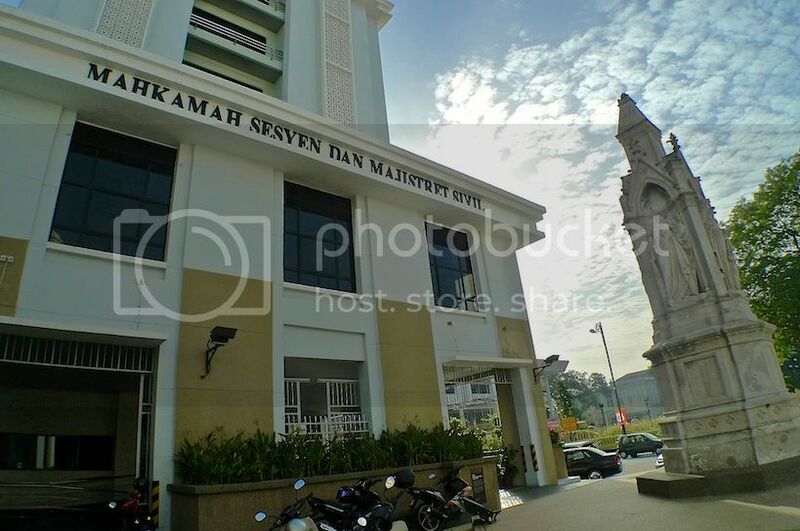 Leaving the Logan Memorial behind, I turned left into Jalan Padang Kota Lama. 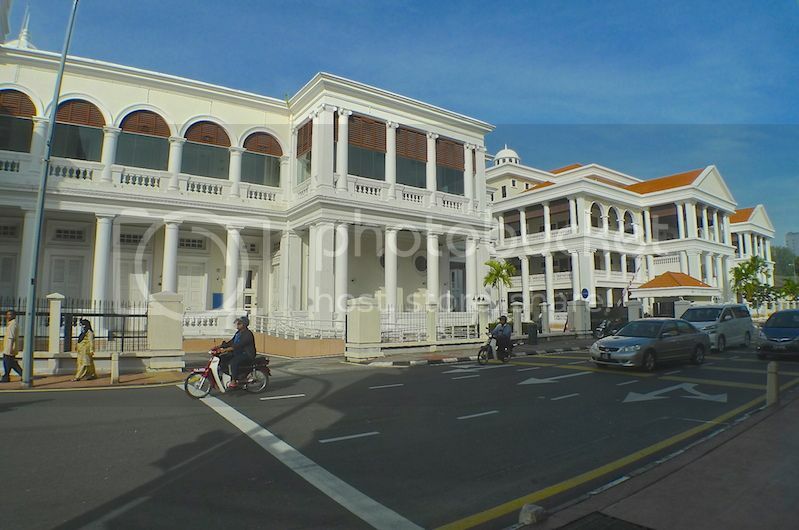 Here, I saw the Town Hall building which faces an open field known as Padang Esplanade. Next to the Town Hall, I saw this weird looking structure. 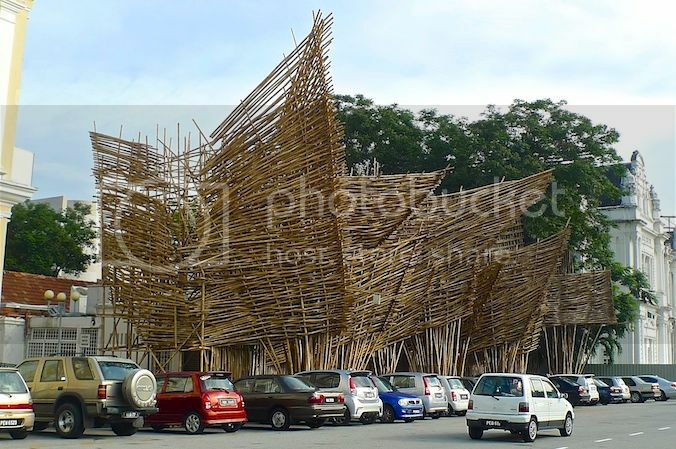 The structure, made from bamboo poles, resembles a ship. Or does it look more like a wicker basket? 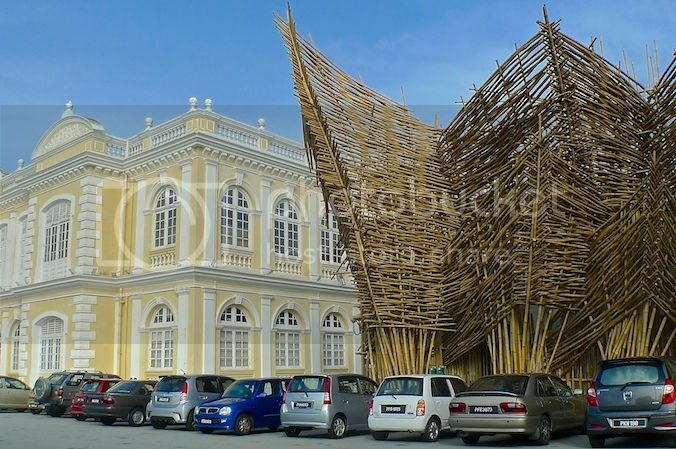 I soon learnt that it was an art installation called The Theatre Of Ships by Indonesian artist Joko Dwi Avianto. 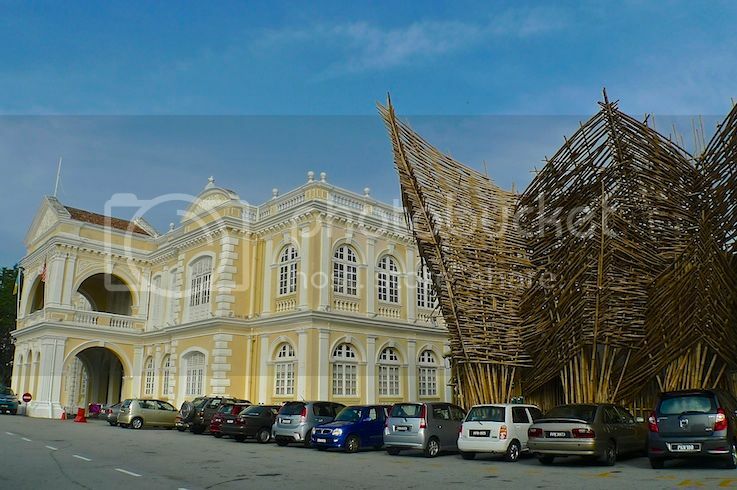 It celebrates the glorious past of theatres and the performing arts in Penang. It's also part of the George Town Festival 2013 project to commemorate the inscription of George Town as a UNESCO World Heritage Site. 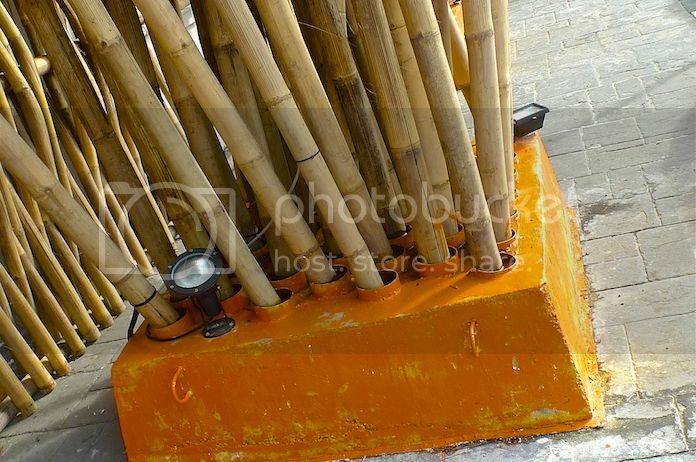 I took a closer look at the bamboo structure. Quite unique looking, no? 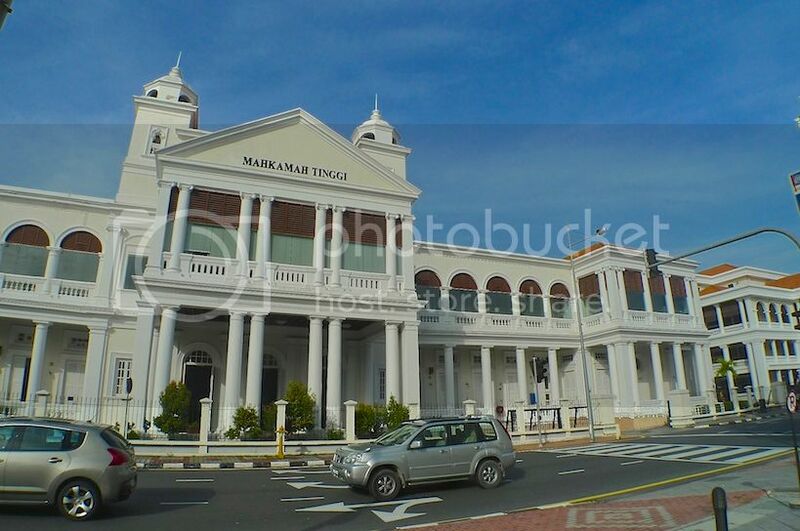 It was actually built over the City Hall's canteen between Town Hall and City Hall. 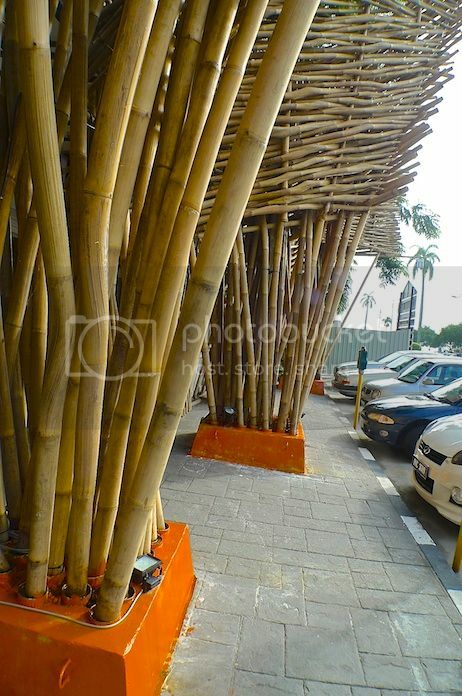 Do take note that this structure may be gone by now as these photos were taken during my Penang trip back in July 2013. 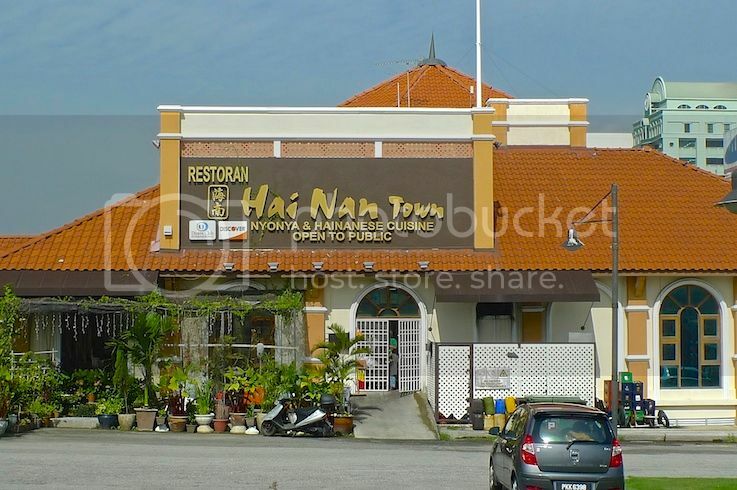 Any Penangnites reading this know if it's still there? 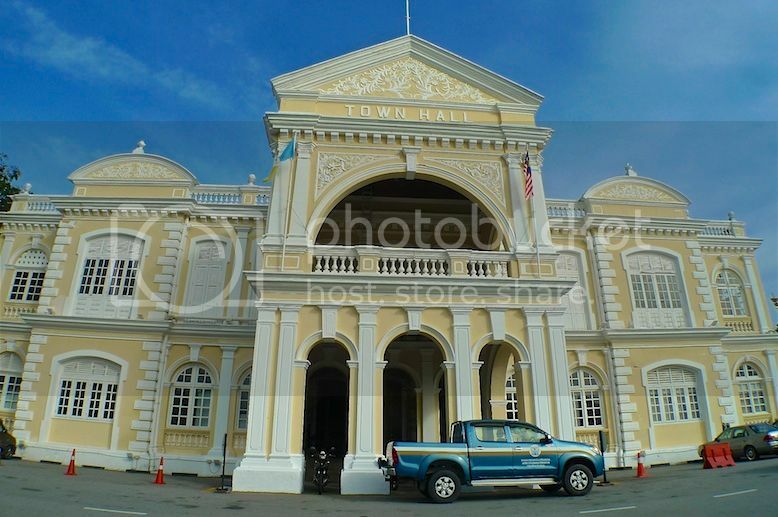 Next to the Theatre Of Ships is the City Hall of George Town. There seemed to be some kind of renovation going on. 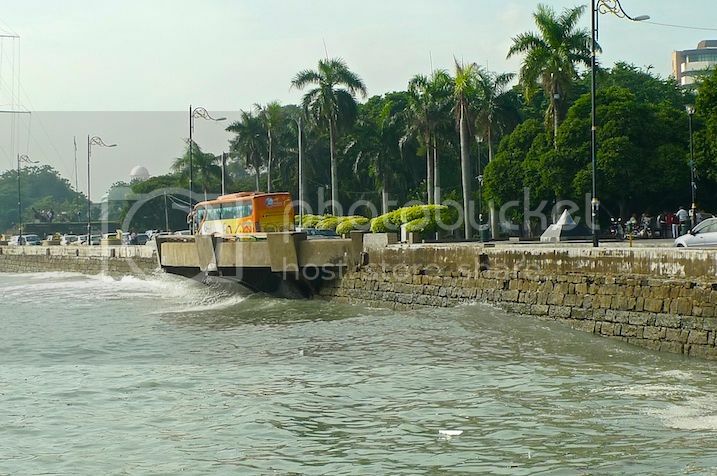 In front of the City Hall building is the gate entrance to Padang Esplanade. 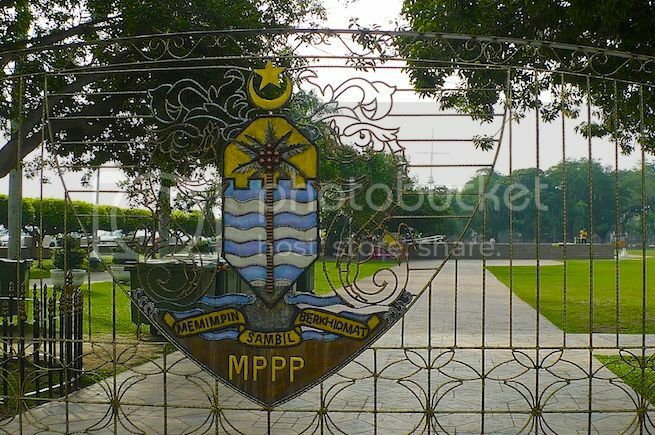 MPPP stands for Majlis Perbandaran Pulau Pinang or Municipal Council Of Penang. 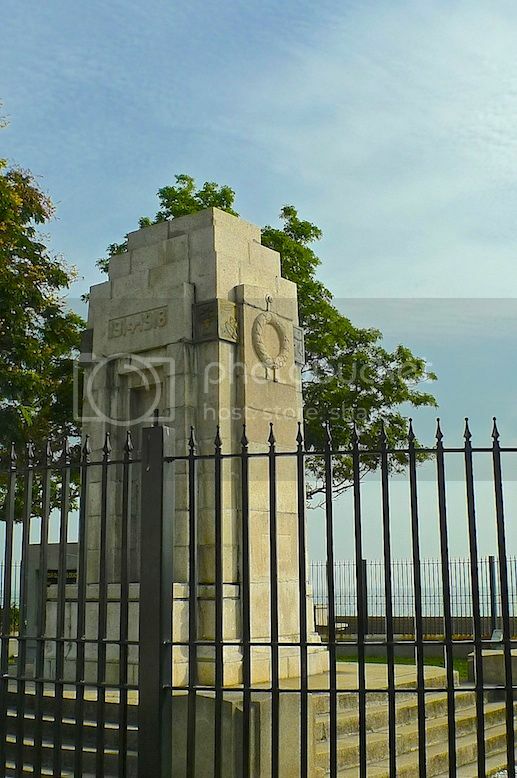 Nearby at the Esplanade, is the Cenotaph, a war memorial erected by the British to remember those who died in World War I. 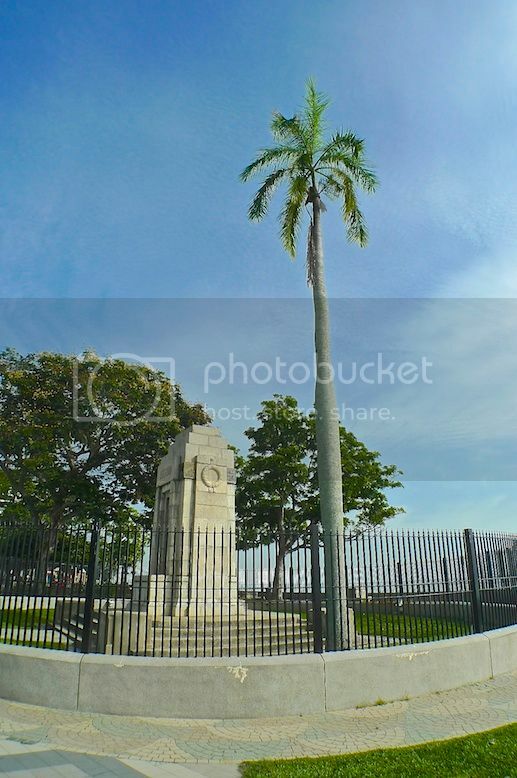 Did you know that the Cenotaph was destroyed in World War II and was rebuilt after the war? I walked along the esplanade enjoying the sea view and the waves lapping on the shore. The weather was a little hazy. And I thought I had escaped the haze in Kuala Lumpur! 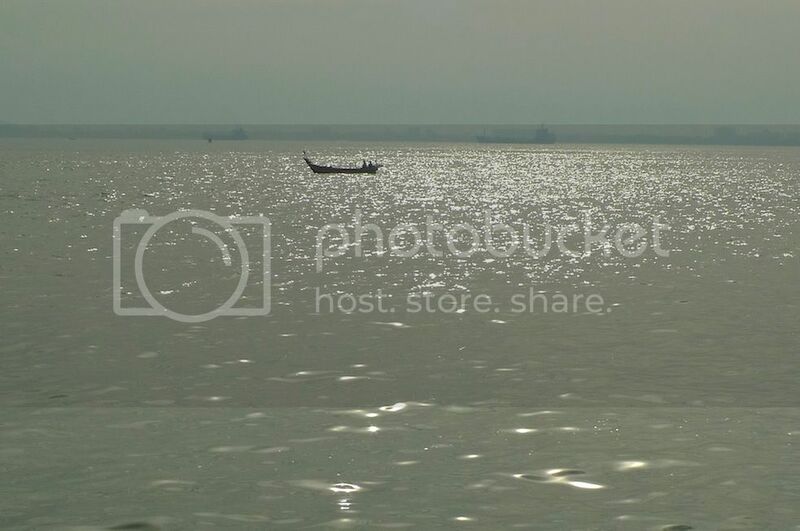 A solitary boat in the sea. 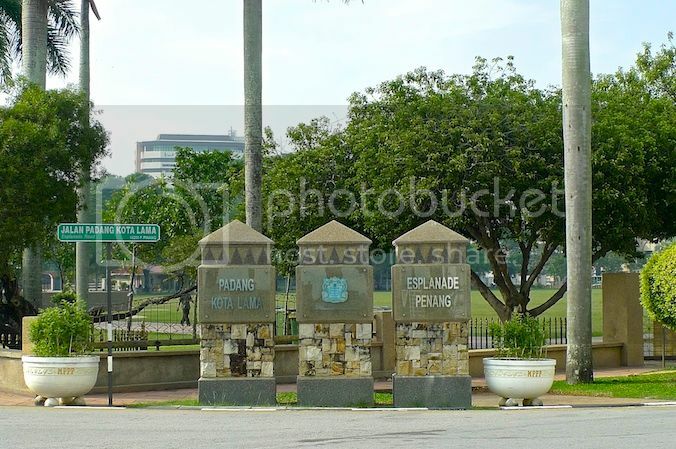 I visited the nearby Fort Cornwallis, a tourist attraction in Penang, but since that will involve a whole post by itself, I will not mention about it here. 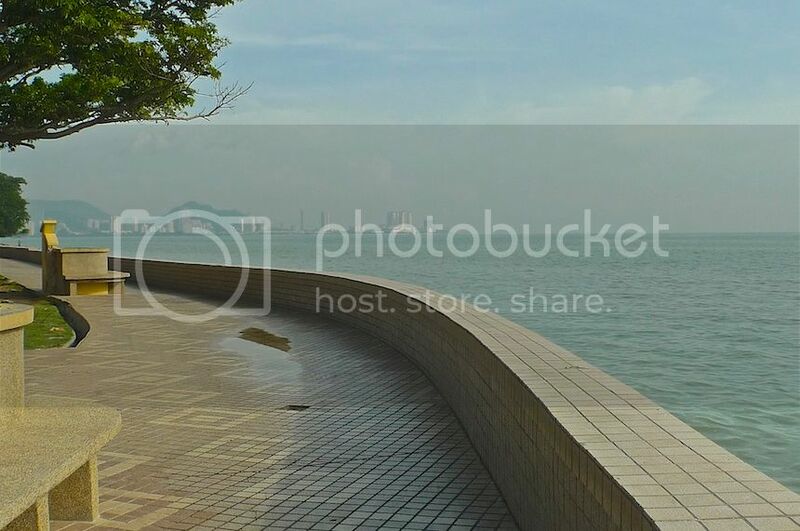 After leaving Fort Cornwallis, I walked towards Pengkalan Weld. 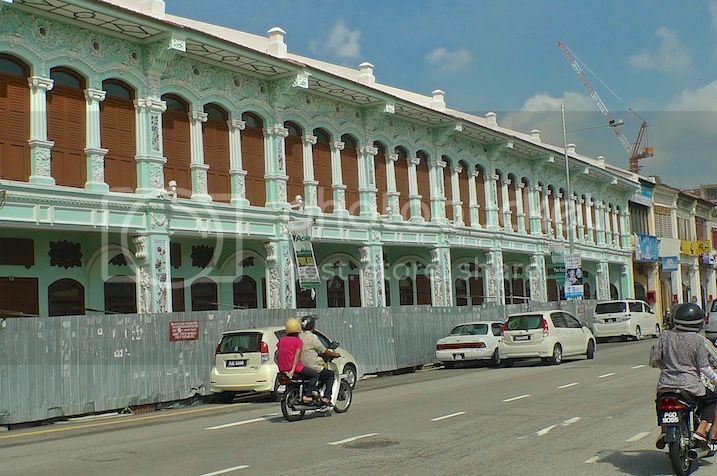 I passed by the Swettenham Pier. It is the berthing place for cruise liners that call on George Town. I could not believe I walked the whole stretch of Pengkalan Weld! Well, not really the whole stretch but a big part of the stretch. Soon, I saw another pier - the Church Street Pier. 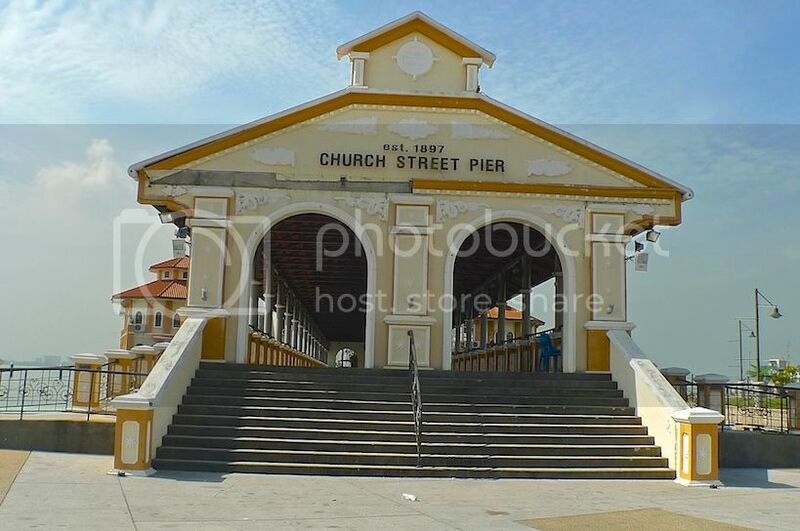 Built in 1897, the Church Street Pier is a heritage pier. 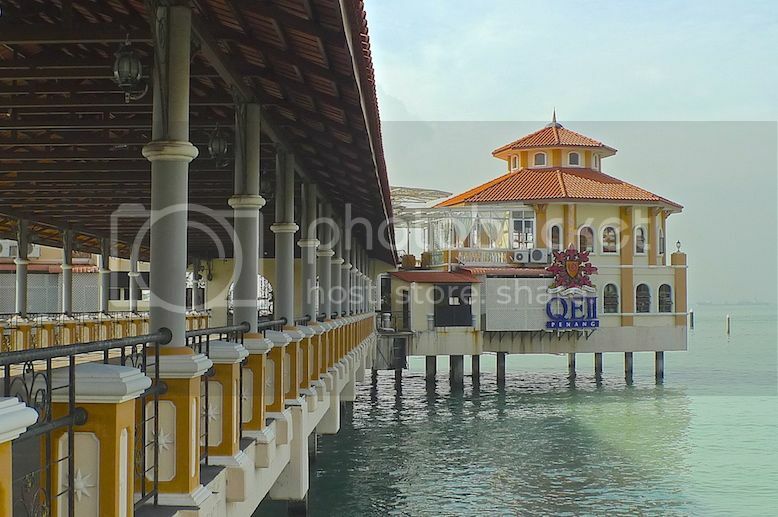 Beside the pier is a Nyonya and Hainanese cuisine restaurant. Did not step into this restaurant - wonder if it's any good. 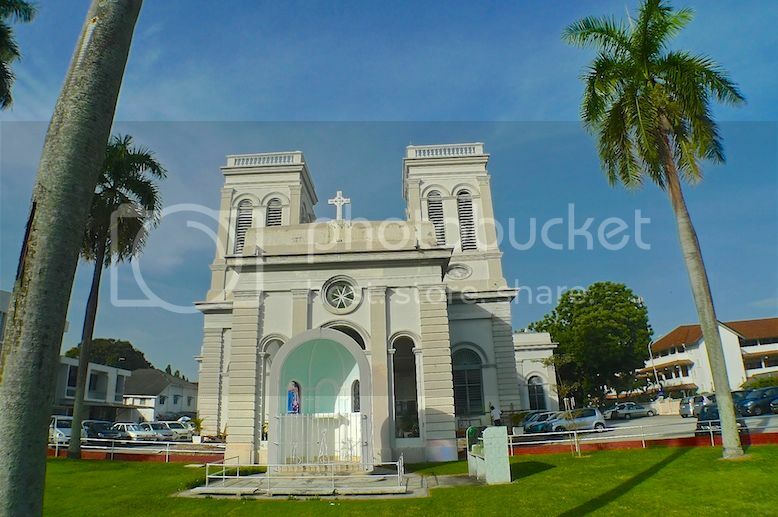 There is a marina connected to the Church Street Pier - it's known as Tanjong City Marina. However, I think it was no longer in use. Wonder what happened to it. 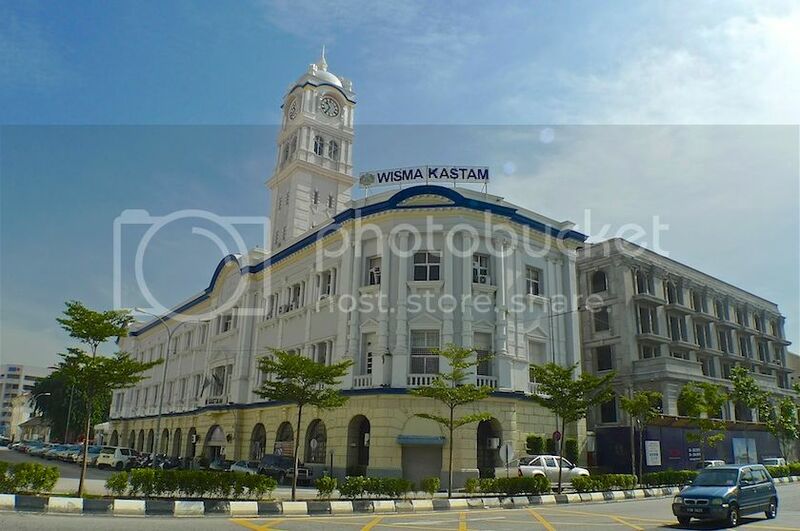 Opposite Tanjong City Marina is Wisma Kastam, previously known as the Malayan Railway Building. 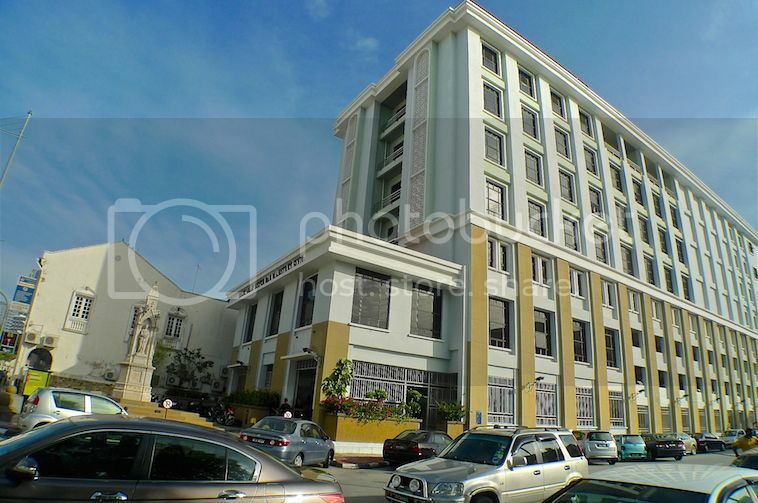 There is a very interesting story behind this building and it's something to do with feng shui. 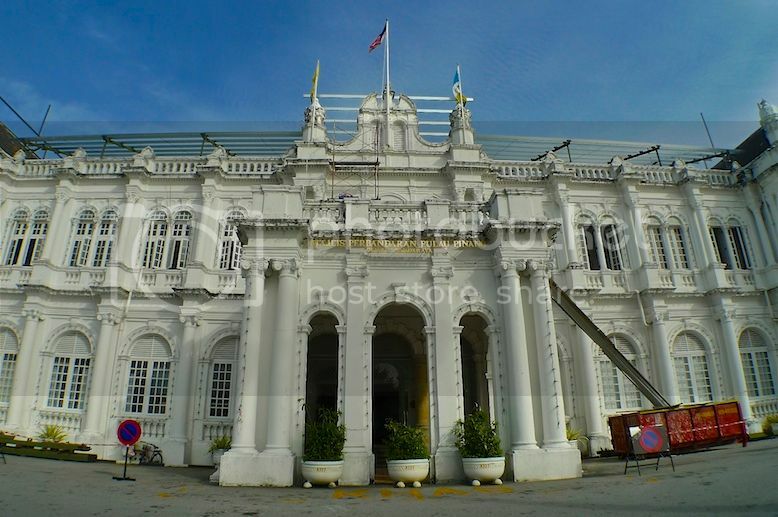 It appeared that when the British built the Malayan Railway Building, it blocked the sea view from the Kuan Yin Teng Temple, thus disrupting the prosperity of the Chinese community at that time. And to make things worse, a clock tower was built atop the building facing the temple. This was a very inauspicious sign to the Chinese, as if telling them that their time is up! This green colour building attracted my attention. 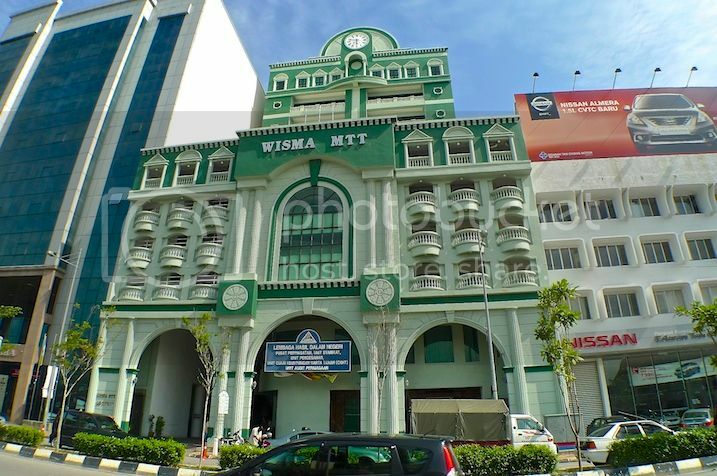 It's Wisma MTT which houses the income tax office if I am not mistaken. It was almost time to check out of my hotel so I had to stop admiring any more buildings in George Town and rush back. I did not know how I ended up at Magazine Road, but there I was, taking snapshot of a row of shophouses. No, I was not leaving Penang. It was just my second day remember? 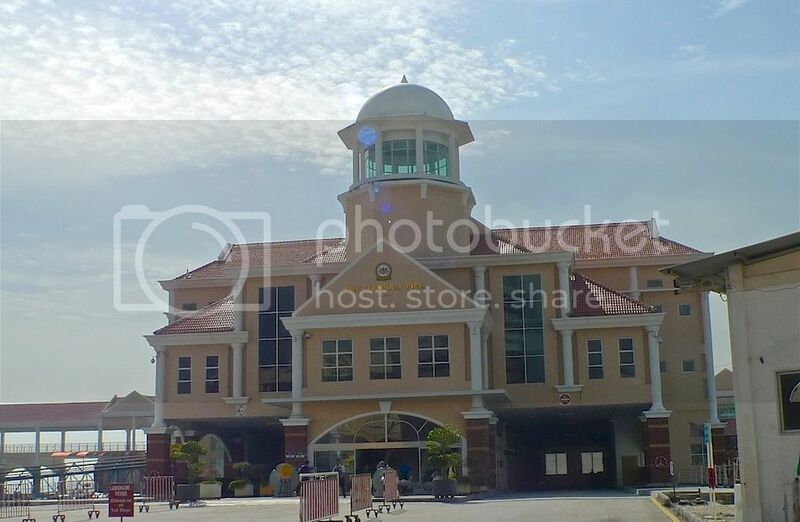 I had to check out of my current hotel at Kinta Lane and check in to another hotel at Gurney Drive for a change of scenery. LOL! It had been an enjoyable morning walking around the streets of George Town. There were still a lot of places that I had not covered. If I ever visit Penang in future, I will not hesitate to do this all over again!